GENTLE GIANT? Migo (voiced by Channing Tatum) takes a leap of faith to discover if humans really exist, sowing discord in his Yeti village. Glen I probably shouldn't review animated films. Most of them seem silly to me, and Smallfoot is no different. Sure, the premise is "cute," but there's not much substance here, and what is here seems like a strange message for its targeted PG audience. The film opens with a sweeping musical number about the happy Yeti village. Migo loves his ice- and rock-filled paradise, and he's training to replace his father, Dorgle (Danny DeVito), as the village gong ringer, a venerated position since the "Light Snail" (aka the sun) won't cross the sky if the gong doesn't ring. Every morning, Dorgle is launched via a giant slingshot head first into the metal gong, then the Light Snail illuminates the Yeti world. It's one of dozens of primitive myths and laws that Yetis must follow. The maker of the laws is the Stonekeeper (Common), the Yeti leader who settles all disputes by conferring with the stones, upon which hieroglyphs are written. They're the evidence that the Yeti village floats on clouds and that below them is nothingness. 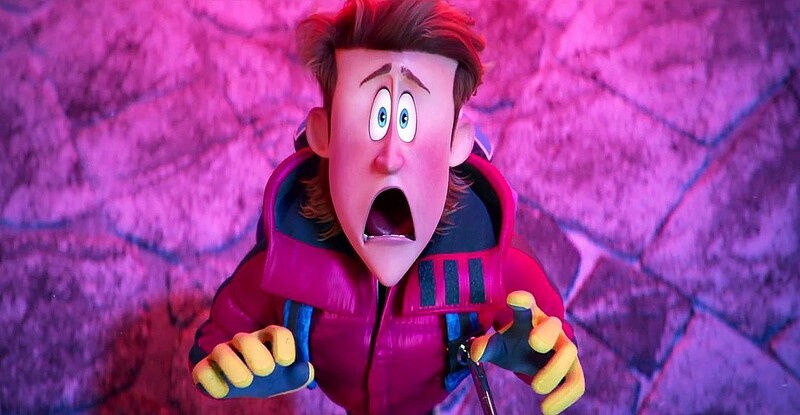 The stones also state that Smallfoot doesn't exist, so when Migo overshoots the gong on a practice try and, far from the village, sees a plane crash and a parachuting Smallfoot survivor, he rushes back to the village to tell everyone that Smallfoot exists and that the stone claiming they don't is—gasp!—wrong! This is tantamount to heresy, and Migo is banished until he's ready to admit he didn't see a Smallfoot. Essentially, the film's a subtle indictment of religion that controls the masses, demands ignorance, and condemns critical thinking. There's also a side message about how it's wrong to sensationalize and exploit—Percy Patterson is a nature filmmaker with rock-bottom ratings. He's willing to lie about finding a Yeti to generate more viewers. When he "discovers" Migo, he has to learn the hard lesson that it's better to protect than exploit him. Will your 10-year-old "get" either message? Probably not, but there are a few cloying musical numbers to distract, and a lot of color and action throughout. I may not be the right audience, but your kids probably are, and that's the idea, right? Anna Unlike you, I really like tons of animated films. I grew up on them and to this day love a well done one—especially if the voice actors deliver outstanding performances. 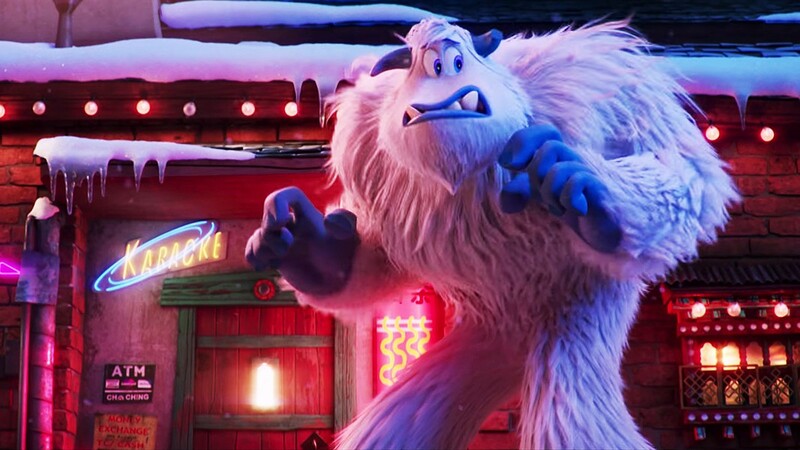 While Smallfoot has a certain charm, it lacks a really solid storyline, and while some of the musical numbers are catchy, most were groan-inducing and felt like time fillers. Channing Tatum is a fun, energetic Migo, but my favorite character has to be his flat-headed dad who's short and round—just like DeVito himself. The Stonekeeper is a no-nonsense tough guy with a pretty daughter and a big dumb brute of a son. When Migo announces his Smallfoot sighting, the Stonekeeper quickly dismisses the notion and tells everyone to go back to their safe, unquestioning lives. However, a few of the Yetis are part of a secret Smallfoot-believing faction, and soon Migo himself is part of the group headed up by the Stonekeeper's daughter Meechee (Zendaya). The message the film is ultimately trying to sell isn't a bad one. It's important to question and seek truths, and whether it's meant to be an indictment of religion, I don't know. It certainly can be interpreted that way. I doubt this one is going to take over kids' worlds the way Frozen did, and for good reason, but your young ones may enjoy the colorful Yeti story nonetheless. I think once you venture much past 8- or 9-year-olds though, the charm will fade. Save this one for the little guys and gals. TRUTH IS STRANGER THAN FICTION TV personality Percy Patterson (voiced by James Corden) decides to fake a Bigfoot sighting ... until he has a real one! Glen Eventually, Migo returns to the village with Percy, proving once and for all that Smallfoot exists. However, a lie repeated enough times can become truth, and to save the Yeti village from descending into stone-rejecting chaos, the Stonekeeper decides to show Migo "The Secret," taking him to a cave with wall paintings showing fighting and fear between Smallfoot and the Yetis that existed before the Yetis retreated to the top of the Himalayas. The stones keep the Yetis ignorant but also safe, warning them not to go down to Smallfoot territory. Migo decides he'll go along with The Secret and goes before the village and claims Percy is a kind of yak and that Smallfoot doesn't exist after all. Meanwhile, Percy is suffering from altitude sickness, and Meechee and her Smallfoot-believing society aren't willing to continue living in ignorance, so she takes Percy below the clouds. Now both humans and Yetis are forced to confront their coexistence, but that doesn't mean they can actually coexist. Mayhem ensues and fear runs rampant. Will violence return between the two species? Seeing as how this is a PG animated children's film, the answer is obvious. The film's pat happy ending is that truth is good and that Yetis and people can be friends, and Percy learns his lesson and saves the day. If you've got young kids, maybe they'll be entertained for a couple of hours. I was pretty bored, and the film still feels like it's pointing out the gullibility that organized religion requires and the judgmentalism it breeds.